"Wow!" Now it's Mike's turn to stare out the window. "So you've gotten together with me twice all the while knowing you were pregnant with someone else's kid? That's bad, Laurel!" As I crest the next hill, I whisper, "What do I do?" The September breeze has no answer for me. I can't hold the tears in any longer, and my face is a river. "I'm freaking out!" Trust your readers a little bit. If Lauren's "face is a river," I'm sure most readers can make the connection that she's "freaking out." And speaking of the main character, I was also majorly disappointed by her, who continuously kept choosing to make bad decisions, and then feel sorry for herself afterwards. When the synopsis labels Lauren as an "imperfect heroine plagued by bad choices," it's not exaggerated. She would constantly choose the obviously wrong choice, sometimes not even showing the reader a motive as to why. I understand that there are characters who are intentionally written with a ton of flaws, but it doesn't work if it doesn't make any sense. I wanted to root for Lauren, but I was not able to scrounge up any empathy towards her. I don't see that she grew as character either. When it came to making the important decisions, she made the right choices because she was forced to, not because she realized it was the right thing to do. Nonetheless, I did want to see how she would turn out and wanted to finish the book. 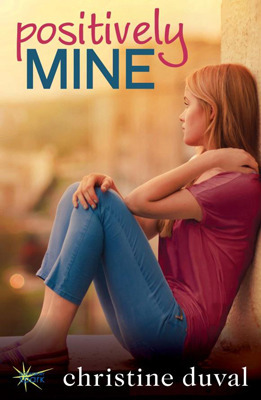 Although I'm not completely in love with this book, I'm hoping the author will have redeemed herself in the next installment of this series, coming out later this month. I would rate this book 2.5/5 stars, and wouldn't really recommend it.